Giving one-day speeches at schools has taught me a lot about building rapport with students. Here are my top four techniques. Seventy high schoolers I’ve never met are either staring at me or pretending I don’t exist. I’ve come 750 miles from my home in Kalamazoo to spend a day teaching this diverse group of at-risk freshmen and sophomores. I have just 6 hours to build rapport with them, to shift their thinking, and to help them in any way I can. No matter how great my presentation is, no matter how well-thought out each lesson is, I know one thing: They will not listen to me until they like, trust, and respect me. Teaching a random group of students for just one day or one hour is one of the hardest aspects of public speaking. In my classroom, I know I can patiently build rapport, learn from mistakes, and adjust the next day. As a speaker though, I won’t get second chances, nor can I rely on familiarity—especially with at-risk students who don’t trust easily. 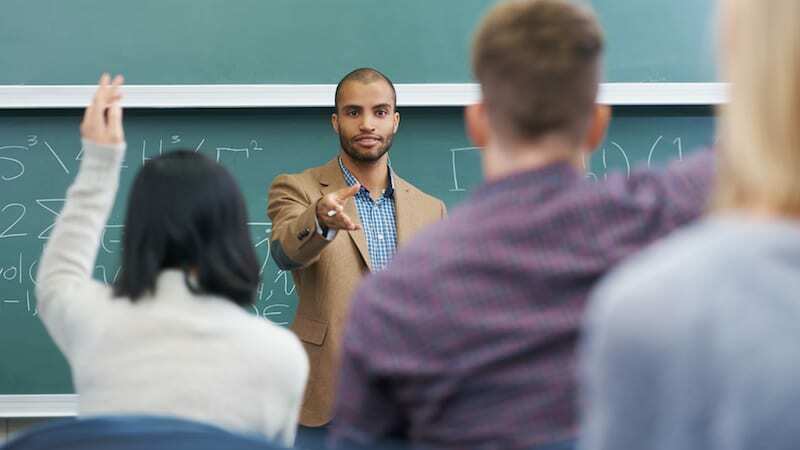 Thankfully, what I’ve learned about quickly building relationships as a speaker has helped me better connect with students in my classroom—especially reluctant and disengaged students. Here are a few power moves and how to bring them into your classroom. 1. Make first impressions count. Shake hands with everyone. Even though students give odd looks, making the effort to shake hands with each person shows a willingness to connect on a personal level. It also gives me an initial read on their receptiveness and personality. Give respect. Showing students—explicitly and implicitly—that we respect them is key. Many students today don’t give respect without getting it first. (We can complain all we want about that shift in culture, but that won’t get us anywhere). It is my job to be the bigger adult and model giving respect. Lead with positive emotion. As a speaker, I know that the first few minutes of any talk should be building rapport, using humor, and learning about the listeners. I also know that my resume means nothing to kids—they care more about my authenticity than my accolades. My goal as a speaker is to get as many smiles as I can in the first 30 seconds. Ask students to share “good things” (a la Capturing Kids Hearts). Have students pair-share about the highlights of their day. Ask students to write down “2 Truths and 1 Lie” about themselves on a notecard. Then read some at random and have peers predict who wrote it. Welcome each student into the classroom with a fist bump and a smile. Want to mix it up? Try one of these fist-bump upgrades. Provide sincere gratitude that they made the choice to show up to class today. Do something playful, like asking for random facts or corny jokes. Ask them to write a brief, half-page summary about what’s going on in their life. Do a quick round of “speed dating” in which they talk to a peer about a random question you pose. I learned a concept from The Quantum Learning Network about using “cats and dogs” as an analogy to consider interactions with different personalities. 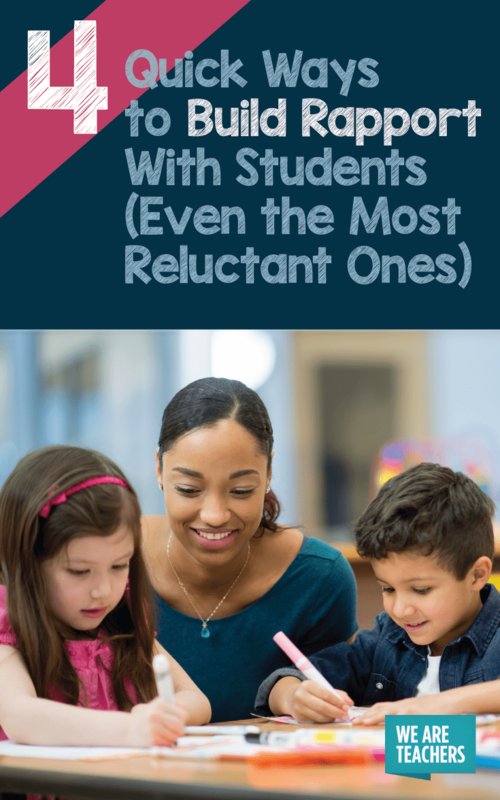 It is not meant to stereotype students; it is simply a starting point for being more intentional with our efforts to build rapport. Provide opportunities for dogs to model, demonstrate, or share whole-group whenever possible. Think quality of positive interactions over quantity, such as a longer, positive conversation one-on-one. Ask them questions to give them a chance to share about their world, their interests, their expertise. If behavior needs to be managed, opt for one-on-one pre-briefing or after class conversations. Give quick, low-key compliments but don’t linger for a response. Ask him/her for thoughts in one-on-one situations. Use written or after-class praise instead of public praise. Think quantity of positive interactions over quality, but space out interactions over time. Be particularly attentive and curious when a cat does approach you or open up. 3. Make time for non-academic discourse. What is something I don’t know about you? What’s been the highlight of your week? I noticed you ________, tell me more about that. If you want to go next level, set up these deeper-level questions. 4. Assume nothing, learn everything. Just as students are sizing me up as a speaker, I am sizing them up as people. I use basic categories, like “cat or dog personality” as a starting point for interaction; however, I’ve learned to never make sweeping assumptions about students. And I’ve seen interesting things in my travels, such as students spitting on floors, a kid asking me to fight, and major meltdowns just to name a few. As much as I want to assume certain things about these kids I know one thing: Every reaction is symptom, not a cause. Doctors know to investigate symptoms to understand causes. Teachers must do the same. No matter how many versions of a “type” of student I’ve seen, each life is different. Out of all the rapport-building strategies I’ve learned, one encompasses them all: Curiosity. I noticed you slam your books on the desk when you walked in. What was on your mind? You seem to pay attention really well, but when I ask you to work independently, you talk more than work. Help me understand why that is. I’m noticing you’ve written words all over you arm, including the F-word, big and bold. Talk to me about that a little bit. Not only am I curious about my students, I’m interested in learning more about your “power moves” for rapport building. Post in the comments below.